We thought we'd start off the month with some quick updates from our bloggers. It's down to the wire, and Susan E. Goodman is still talking about elections and her book, See How They Run. She is Nov. 3 at 1 p.m. at the Andover Book Store in Andover, MA, and the Connolly Branch Library in Jamaica Plain, MA, at 6:30 p.m. on Nov. 5. Tanya Lee Stone has two new books coming out in the new year and both have been selected for Junior Library Guild. The forthcoming titles are COURAGE HAS NO COLOR and WHO SAYS WOMEN CAN'T BE DOCTORS? The first review just came in for COURAGE, from Kirkus, which gave it a star! "richly layered narrative...groundbreaking insight...An exceptionally well-researched, lovingly crafted and important tribute to unsung American heroes." My book A Place for Bats is a finalist in the AAAS/Subaru Prize for Excellence in Science Books in the picture book category. so is Steve Jenkin's book The Beetle Book. Invincible Microbe : Tuberculosis and the Never-ending Search for a Cure , by Jim Murphy is a finalist in the Middle Grade category. Jan Greenberg and Sandra Jordan have been chosen as the 2013 winners of the Children's Book Guild of Washington , D.C. Nonfiction Award for their body of work. The award will be presented in Washington, D.C. on April 20. Ballet for Martha: Making Appalachian Spring by Jan Greenberg and Sandra Jordan with illustrations by Brian Floca has been chosen by The International Board on Books for Young People (IBBY) as the Honour List book (for illustrations) from the United States. Jan Greenberg's Interview (with Sylvia Vardell) will appear in ALA's Book Links November 2012 issue. I was working in the library a couple of weeks ago, and got this brief and cryptic email stating, "Dear Mr. Sheinkin, Will you please call me today on a confidential matter?" It looked kind of official, not like a scam, and came from the National Book Foundation. I called the number, and asked for the name on the email, and the man came on and told me that my new book Bomb, had been chosen as a finalist for the National Book Award - but that I couldn't tell anyone until the announcement the next morning. Those with more experience winning awards may know how to handle this - do you really not tell your editor? Anyway, I just told my wife and kids. My wife was impressed; kids (6 and 3) less so. And then we all watched the award announcement on TV the next morning. Exciting stuff! We are a galaxy of shining stars, aren't we?! I forgot to announce that WRITE ON, MERCY! THE SECRET LIFE OF MERCY OTIS WARREN is a silver medalist for the 2012 Eureka! 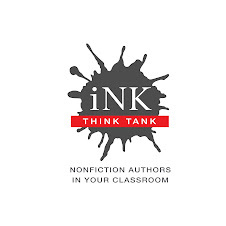 Awards for Nonfiction, given by the California Reading Association.